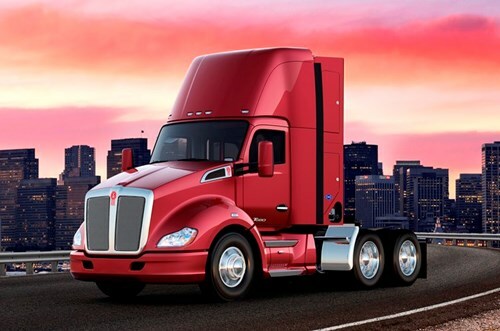 US truck manufacturer Kenworth has been awarded three government grants totaling $8.6 million that will support low emissions projects involving Kenworth T680 Day Cabs targeted for use as drayage tractors in Southern California ports. The first T680 Day Cab will be a hybrid electric drayage truck producing near-zero-emissions utilizing currently available compressed natural gas (CNG) engine to generate electrical power. The second T680 Day Cab will feature a hydrogen fuel cell offering true zero-emissions operation. These trucks are expected to be identical, except for their power generation systems. Both trucks will have an all-electric range of 30 miles (48 km), as well as on-board CNG and hydrogen capacity, respectively, of 100 diesel gallons equivalent (dge). The third project is funded at $4.8 million by the California Air Resources Board (CARB), again with the SCAQMD as the prime applicant. Kenworth will build four hybrid-electric T680 Day Cabs and support the customer field test of the units in Southern California drayage operations. “Hybrid-electric powertrains are expected to be required within seven to 10 years to meet emissions requirements in several major metropolitan areas of the United States, said Mike Dozier, Kenworth general manager and PACCAR vice president. Already, California is considering regulations requiring port drayage trucks to run at zero-emission levels when operating in economically disadvantaged communities. These T680 Day Cab projects are a great opportunity for Kenworth to advance the development of key technologies that may play a critical role in the trucks of the future”, he concluded.